Ecommerce Product Attributes, Which CMS to Use? 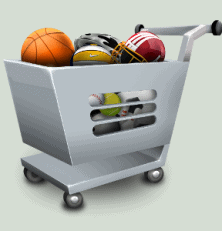 #ecommerce #product attributes, Which #cms to Use? b) An intuitive user interface, driven by a robust ecommerce CMS, capable of displaying accurately the desired product online based on every user’s personalized search. Maybe you’ve asked yourself, “What is ecommerce product attributes?” “Is it really important for my business?” “How can it affect my online sales?” “Does my current CMS support the best product attribution?” These questions may not give you much reason to be concern at first, but as you dig deeper for answers you will realize that product attribution really plays an important role in determining your ecommerce success – in a very tricky sense. 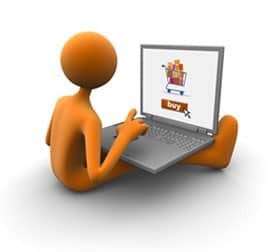 Your concerns will even be compounded if you are running a large scale online business. For a basic start, let’s define what product attribute is. If for instance you are selling a product online, say a line of footwear. Now, you want to showcase your product and give it a nice description of its inherent properties such as brand, color, style, size, etc. These traits and peculiarities describing your product are what we called “product attributes”, also called “metadata” because it is a collection of data about data. Creating the product attributes lexicon – the terms to be used in the definition and description of a line of product for an upcoming online store – is a difficult yet necessary process that has to be done without errors. The product attributes dictionary is very essential in describing precisely each unique product in order for it to show properly in the search. Quite often, a company seeks professional help in creating the detailed list of product attribute terms and in classifying and structuring those terms. The purp ose of building a clean product attributes list devoid of any error is to create a reliable thesaurus of descriptive terms which are then grouped and classified (Taxonomy) and organized into hierarchies (Ontology) to be acted later by an interface program with an attribute-based filtering feature. The end result of this technique is a rich customer experience when navigating the ecommerce website. Product search is smooth, clean, and well-organized ensuring efficiency and guaranteeing the costumer that what product he/she is searching for is the right product displayed on the computer screen including those that are related or are validated by the attribute-based filter. 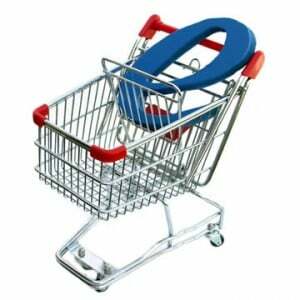 The major uses of ecommerce product attributes include efficient navigation, personalization, and mass customization. For a clear, smooth and enhanced way of navigating down the line of products, the website is reliant on a strong product attributes construct ensuring that no product is lost as a result of conflicting elements observed in a flawed creation. Another great use is for personalization of a customer’s search for the product of choice. Personalization is more interested in asking the question “why” a customer buys a certain product rather than “what” product did that customer bought. This ushers an understanding on what ticks a customer by closely observing the pattern of his attribute choices. Perhaps the next time that same customer pays a visit to the site, products with similar attributes may be presented to him predictably. Finally, product attributes can be used for mass customization wherein an ecommerce site proffers a feature, which allows customers to have the freedom to customize the product of their choosing through addition or modification of some very specific product features. This would help merchants envisage the next ideal line of products to be displayed based on trends gathered by their robust system. There are many popular and highly dynamic #ecommerce cms available out there, most of which are open source (free), yet many also charge for a license to use their software. Every CMS developed is vying for a chance to dominate the market by constantly providing plug-ins and extension modules continuously expanding the functionality of their CMS platform. Every CMS has also managed to flourish its own community of supporters as well as developers. In effect, these platforms are constantly evolving to meet the growing demands of the public. You can choose from among many ecommerce CMS out there that you’ll find suitable for the type and scale of the online business you have. 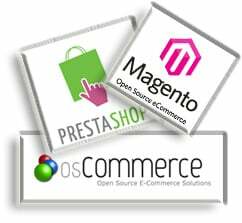 You can opt for Magento, Prestashop, Joomla, Zen Cart, osCommerce, Ubercart and Drupal, WordPress (yes, even WordPress has an ecommerce feature applicable to small and intermediate size business), and many more. In my personal opinion going after the best CMS with the best support for ecommerce product attribution isn’t much of a challenge these days because every leading ecommerce CMS available today is fully equipped and capable of handling the complexities of ecommerce product attribution. While these CMSs are contending to be at the top, each take turns on the hot seat as being the best when new solutions, updates and developments of their software emerges and are being distributed over the internet. I think the real challenge behind lies in building the dictionary, taxonomy, and ontology of product attribution for a clean, robust and more responsive system.